Create your own story with Barbie and her furry friends with this Pet and Furniture Playset! Each fun playset includes themed furniture with multiple accessories that open up the play possibilities. Open the door to imagination with this Barbie Pet and Furniture Set Case! Doll not Included. 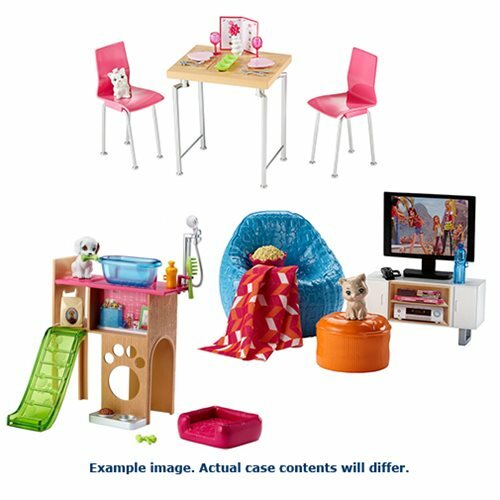 This Barbie Pet and Furniture Set Case comes with 3 individually packaged playsets.